The shame and guilt that accompany suicidal thoughts can be overwhelming. Wounded warriors with these types of thoughts often don’t want to reveal them. Josh didn’t want to be misunderstood and have everything he’s worked so hard for become meaningless. There is an internal struggle between the guilt of giving up and the desire to end all the pain. But simply admitting struggle does not have these dire consequences many people fixate on. Confessing to having suicidal thoughts can be the first step on a journey toward healing, gaining strength, and finding purpose. Nearly 47 percent of wounded warriors said talking with another veteran helps address mental health concerns, according to a 2015 Wounded Warrior Project® (WWP) survey of the warriors it serves. WWP changed Josh’s outlook once he started participating in Peer Support Group meetings. These gatherings are an outlet for veterans with visible and invisible wounds to discuss their experiences and work toward healing. Peer support plays an important role in the recovery process as injured veterans rely upon each other’s learned experiences when managing day-to-day challenges. This special type of therapy reintroduces warriors to the unique bonds experienced during military service. Rarely duplicated in the civilian world, these relationships act as a secure bedrock that paves the road to recovery. Josh found out about WWP through his younger brother Logan, who suffered three gunshot wounds at the November 5, 2009 shooting at Fort Hood. Logan explained to Josh that WWP avoided politics and small talk and dove right into supporting his recovery. Josh saw firsthand that WWP’s overwhelming dedication to Logan’s healing journey propelled him to stay motivated. “WWP saved a life in my family already, so it makes sense that I sought them out in my time of need,” Josh said. Within the Peer Support program, Josh found WWP staff are dedicated to individual needs, yet focused on a group mentality that is reminiscent of his time in the military, with a feeling of fellowship and common loyalty among everyone in the group. Josh explained even he had a hard time understanding his own feelings, but participating in the group was the beginning of a positive transition. “The thought of three fatherless boys; the idea of my wife, Allison, struggling to understand; the fault or guilt that my brothers and sisters in arms will share after I am forever erased in the physical form – these things stopped me from committing suicide. But admitting I thought about it was still difficult,” Josh said. Josh started very young in Fort Gordon, Georgia, as a non-commissioned officer and gained experience in the U.S. Army Training and Doctrine Command (TRADOC). Throughout his 14-year career, he was a squad leader, instructor, and a platoon sergeant for soldiers as they transitioned from Basic Training to Advanced Individual Training. 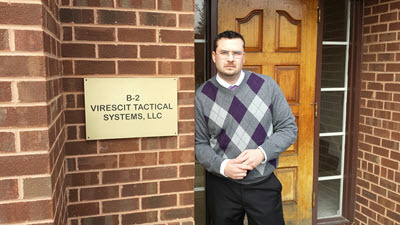 Josh provided training and mentorship to thousands of soldiers while he was in the Army. He felt that committing suicide would tarnish every guiding word of positivity he had ever shared with his soldiers. “I prided myself on the fact that bringing my combat experience and professional background to those troops would help them do the best they could in their careers,” Josh explained. Since that first meeting, Josh was on a fast track to healing as he drew strength from his struggles to help others. Now, he takes pride in coming from a difficult place to where he is today. He loves being an example of what someone is capable of with guidance from WWP. “WWP is an organization that gives back to a warrior what they are willing to put in – and more. It requires similar dedication to wearing a military uniform, and it’s comforting in that way,” Josh said. During the course of going to meetings, Josh realized he never prioritized his own recovery. Now, he is dedicated to recovery – for himself, and others. To become a WWP Peer Support Group mentor, Josh needed to recognize within himself that healing is a process. Mentors have come far enough in their own journeys that they know the tools and skills necessary to continue progress. Warriors can become mentors when they demonstrate leadership strengths and the ability to help fellow veterans who are in need. The WWP logo shows one soldier carrying another. Peer mentors have grown to an extent where they are no longer the ones being carried, and instead they are able to now carry others toward recovery. Throughout two years of attending these meetings, Josh has found his place. He knows he is not the only one struggling, and that it is OK to struggle – and most importantly it is OK to admit you are struggling, whether it is with suicidal thoughts or something else. For more about Josh's incredible story, click here: http://www.thebaynet.com/articles/1016/peercounselingaidsvetinongoingrecovery.html.